2017 Marker Free 8 Bindings by Marker at Notakem Bara. MPN: 6324Q1. Hurry! Limited time offer. Offer valid only while supplies last. The Marker Free 8 is a junior binding designed to work with wider skis. The Two Linkage toe piece is designed with both safety and usability in mind. The Marker Free 8 is a junior binding designed to work with wider skis. The Two Linkage toe piece is designed with both safety and usability in mind. Full lateral and backward release will help keep your young skier safe. Add to that the stainless steel gliding AFD plate and you have a full featured toe piece. And the Compact Heel works perfectly for lighter skiers. Both heel and toe are light weight, making it easier for junior skiers to use. 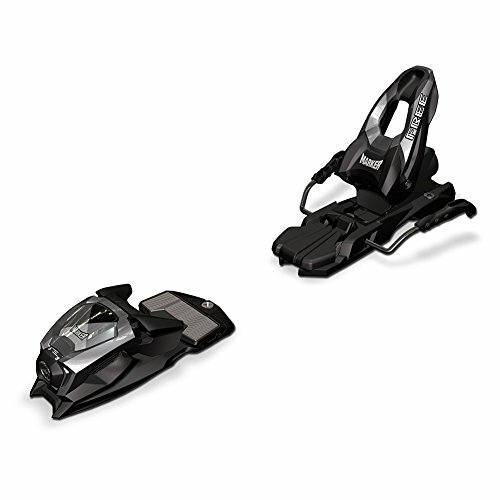 The Marker Free 8 comes with a 100mm brake to fit over wider skis. Its two-linkage toe and compact heel deliver great power transmission and overall performance. Compatible with Junior boot lugs only.